Vogue's Fashion Night Out was a hit, with new-to-Australia Mulberry proving to everyone that they were the place to be! Pulling out all the stops with delicious toadstool cupcakes, whimsical face painting, bubbly berry mojitos and to die for sparkling juices. It was a one stop shop that had you surrounded by fantasy, fun and luscious leathers. Mulberry truly delivered the ultimate gift for the night - stunning goodie bags! 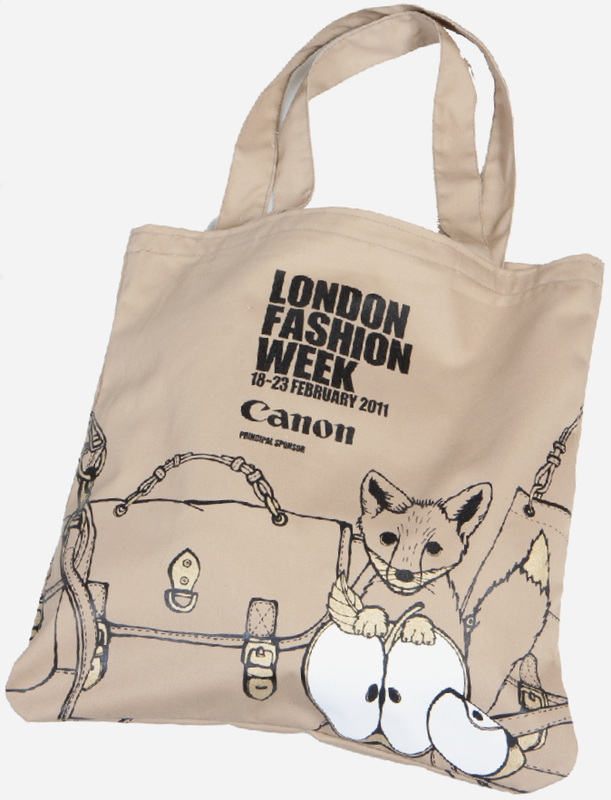 A gorgeous tote bag straight from London Fashion Week made especially for us Aussies which concealed a darling fox cookie, cupcake, mask and cute stickers. Plus with stylish celebrities like Miranda Otto and Pia Miranda stopping by Mulberry was definitely one of the 'it' destinations for the night! What cute fashion week stuff! I'm almost tempted to go myself tonight but am so tired from work this week (already) I will have to live vicariously through you! Thanks for stopping by my blog and for your kind words about my new line! Mulberry : so elegant and chic. It must have been a great night out! I am loving the bag! Amazing gift bag! Love this post:) Looks like you had fun! wow, you're a lucky girl!!! :P everything looks just stunning! Great event .Sure you have had great fun. wow! I absolutely love your blog too! Thanks so much for commenting on my blog. I'm following you now. Come and follow me back! It will really mean a lot! i am so jealous of everyone who went to FNO :) glad you had a good time. thanks for commenting! Oh I love mulberry. Specially their bags. Nice blog. Following u. Hope u an visit mine and follow too. Such cute photos!! !We had such a nice time..